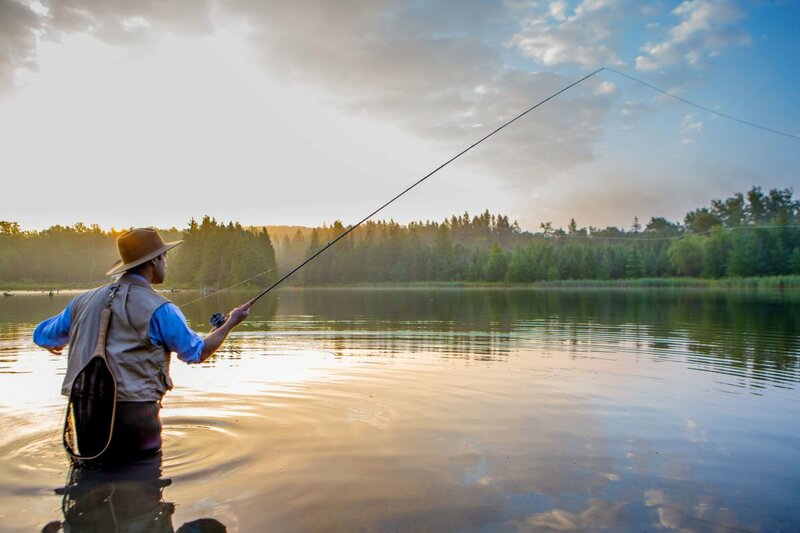 Summertime is the best time of year to be outdoors, and one of the most enjoyable outdoor summer activities is fishing. Looking for the best summer fishing spots? Michigan has an endless amount of options where you are bound to find what you are looking for. There are some hot spots to consider in metro Detroit and around the state. Before heading out on your fishing trip, make sure that you have taken care of all of the essentials. Make a list of all of the gear that you’ll need, and ensure that you’ll have it with you or will be able to rent it closer to your destination. Will you be taking your own boat out, or roadtripping to your destination in an RV? However you’ll be traveling, make sure that your vehicle is protected with a comprehensive insurance policy, so you will be able to enjoy your trip to the fullest. At Dingwell Park you will certainly find a wide variety of fish. This park is not only right nearby the city of Detroit, but the channel usually always is harboring many pike, walleye, steelhead, and countless other species quick to bite at your lure. This park is located in Trenton and is known as one of the best shoreline fishing spots for walleye, perch and rock bass on the Detroit River.You will also see plenty of anglers during the silver bass run. It is a relaxing park to come hang out for the day, with 1,300 feet of riverwalk access. Located in Dexter as part of the Huron-Clinton metropark system, you’ll spot excellent smallmouth and largemouth bass, channel catfish, big panfish and even the occasional walleye. The upper Huron River comes through the park, allowing for multiple access points. Here you will encounter excellent steelhead and salmon fishery. Some who know what this park has to offer hold tournaments here every so often, but other than that this park is left pretty calm. Huroc is also a great space for picnics and bird watching. Maple River is considered one of northern Michigan’s well-kept secrets. Though fished almost exclusively for brook and brown trout, it features steelhead and sucker runs. Fly fishing is a very popular pastime here. This is a well-known spot, but the north branch is typically not as populated. This portion of the river is narrow and deep, with excellent brook-trout fishing and many points of access. This is a quiet spot with high volumes of fish. Its depths create outstanding bass, pike, largemouth and crappie fishing. It also offers a boat launch, beach fire pits, picnic structures with grills and a sandy swimming beach; making it perfect for a family day out in the sun. Ludington, Manistee, and Frankfort all offer stunning fishing destinations along the pier, and most are equipped with fish-cleaning stations. You can catch steelhead, salmon, and even lake trout in shallower waters.